The 3 in 1 multi surface cleaner has a new and improved formulation. The new formulation comes with a new style dual action trigger. Help cut down on your consumption of chemicals and use this Multi-surface Cleaner from Ecozone. This anti-bacterial cleaner is completely plant based using essential oils this multi-surface cleaner cuts out the bad stuff without sacrificing fantastic cleaning power. Tested to kill MRSA and H1N1. This multi-surface cleaner can be used in kitchens, on worktops, and all washable hard surfaces. 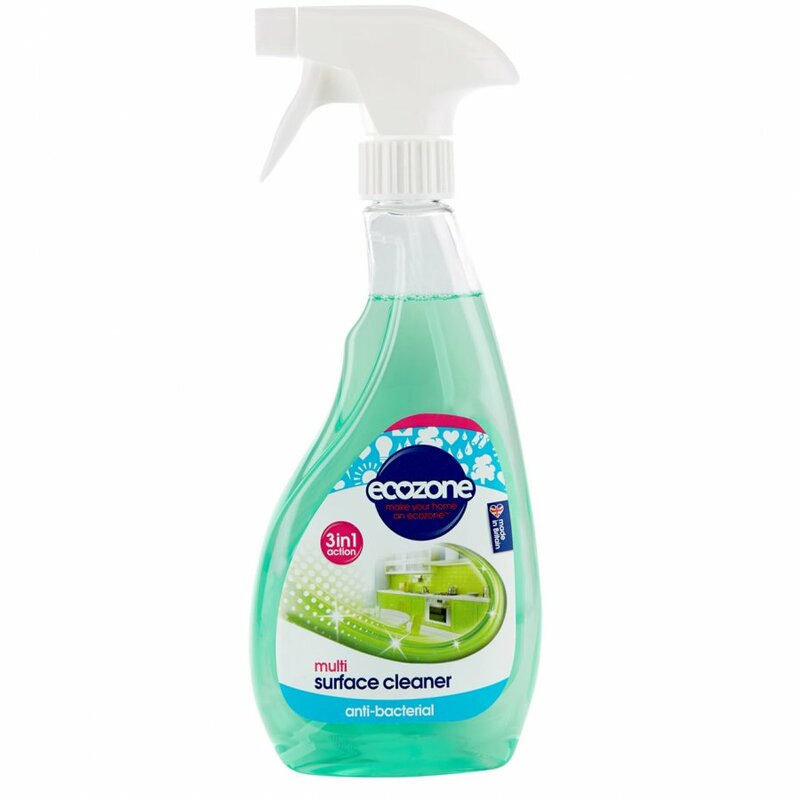 There are currently no questions to display about Ecozone Anti Bacterial Multi-Surface Cleaner - 500ml.